We have had a new resident. A beautiful robin built a nest on top of an outdoor speaker, the perfect place that was safe and protected from the elements. 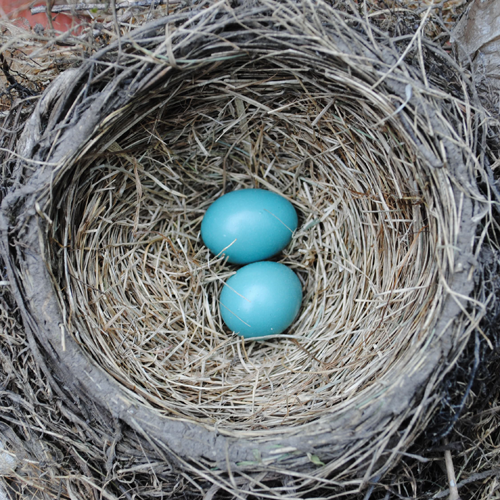 She sat on the nest through rain and even the freak snow storm, for five weeks and we were looking forward to robin babies. But then just over a week ago she disappeared and has not been seen since. 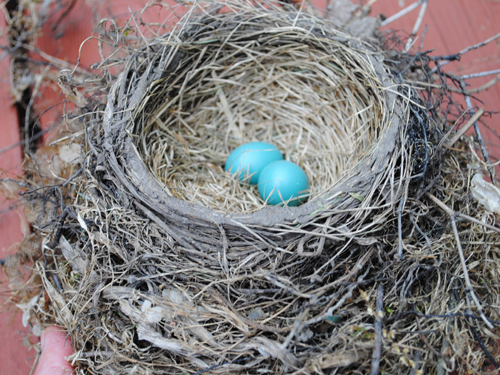 The nest was abandoned. A quick quick Google search told me the eggs should have hatched in two to three weeks. 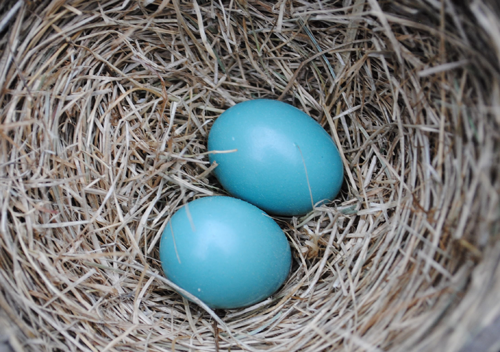 Mr Chicago House took the nest off the speaker this weekend…it was rather unsightly up there..and in it were two striking blue eggs. We shone a flash light through the eggs and there was nothing in them. 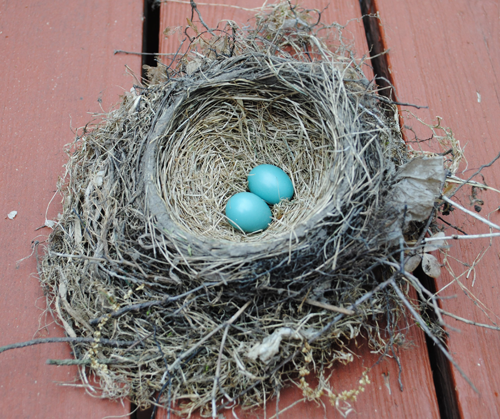 The baby Robins werw never to be. ← Spring has arrived in Chicago!